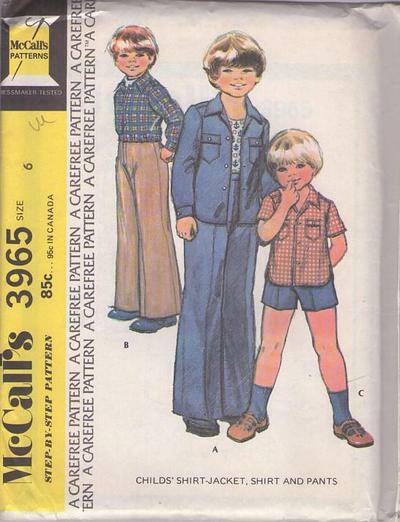 1974, 70s Children, Retro Boyswear Clothing Patterns - Buttoned shirt-jacket or shirt has collar and forward shoulder line. A, C with shaped side vents has patch pockets with buttoned flaps. B has elastic in lower casing. Long sleeves have buttoned cuffs. Pants with fake fly front have elastic in back waistline casing.